Book online or call to make an appointment and discuss how we can find a solution for you! 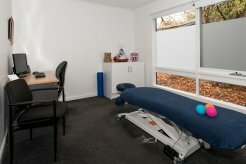 With 20 years of experience in the Croydon area, Healing Hands Osteopathy aims to give the best possible osteopathic care in the Eastern Suburbs. 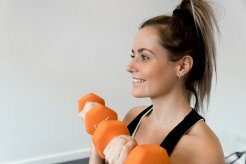 Whether you are suffering from ongoing back/neck pain or have recently injured yourself, you can be certain that you will receive fast and effective pain relief with a personal touch. 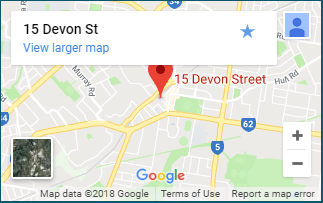 Our clinic is located at 15 Devon Street, Croydon. We are walking distance from Croydon Railway station and Croydon Main Street shopping strip. We look forward to meeting you soon to discuss your back, neck or joint problems. At Healing Hands Osteopathy, we are committed to finding not only the cause of your pain but also a long-term solution. We will not be satisfied with just reducing your pain; we want to be certain that your pain will not return. Call us today to make an appointment and discuss how we can find a solution for you! At Healing Hands Osteopathy we treat a wide range of musculoskeletal injuries. Remedial Massage can provide relief when muscles and tendons become knotted and tense or immobile. A Pre Pointe assessment will indicate when a dancer’s body is ready to begin pointe work. Is a form of exercise which aims to improve posture, build strength and gain flexibility. Would you like to get more out of your Osteopathic treatments? 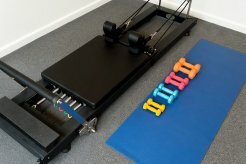 Come and try a Massage or Clinical Pilates session today!